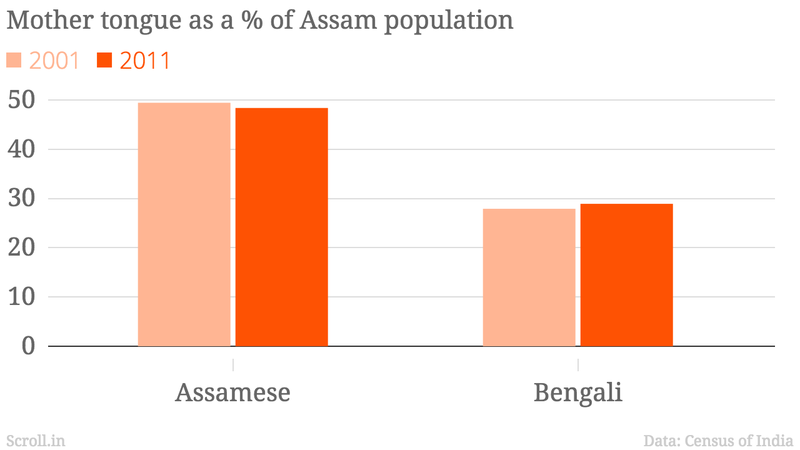 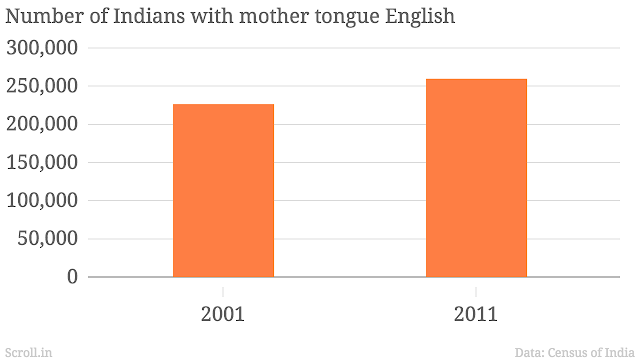 Nine charts that explain the 2011 language census. 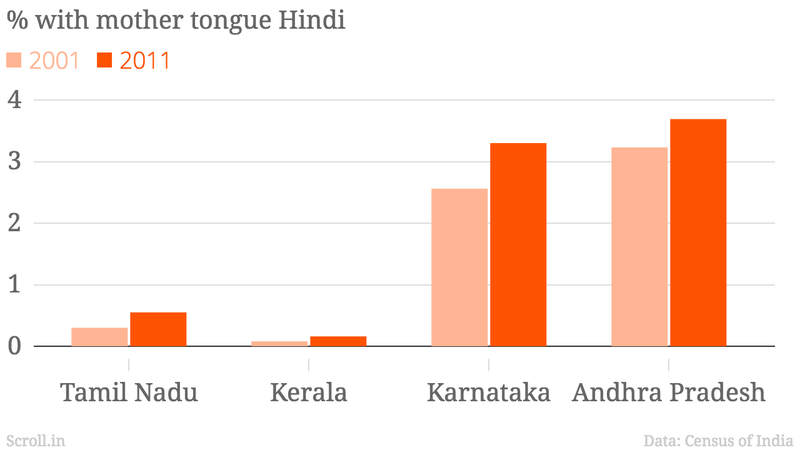 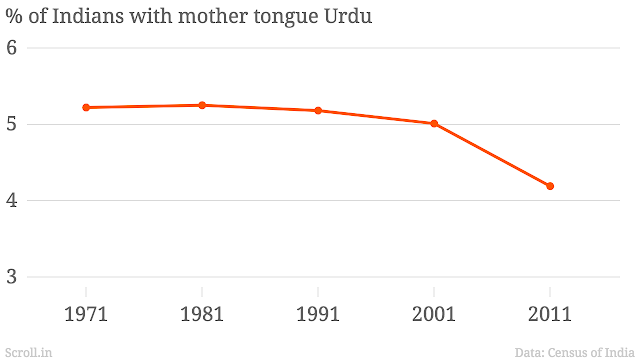 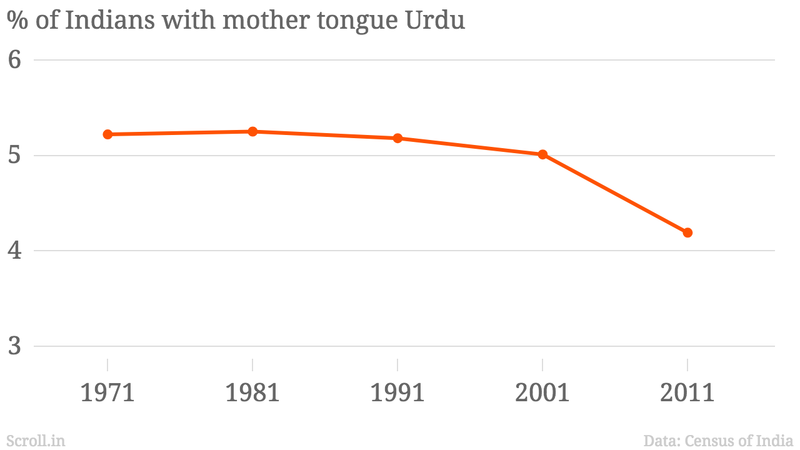 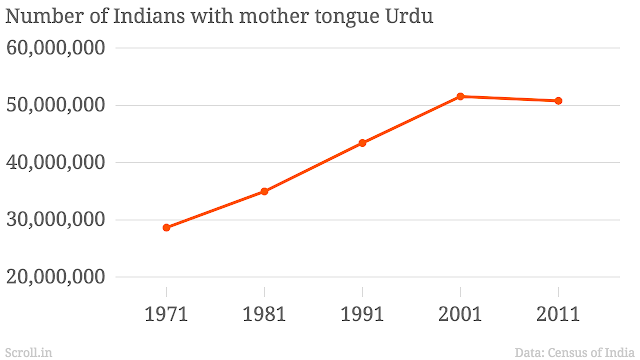 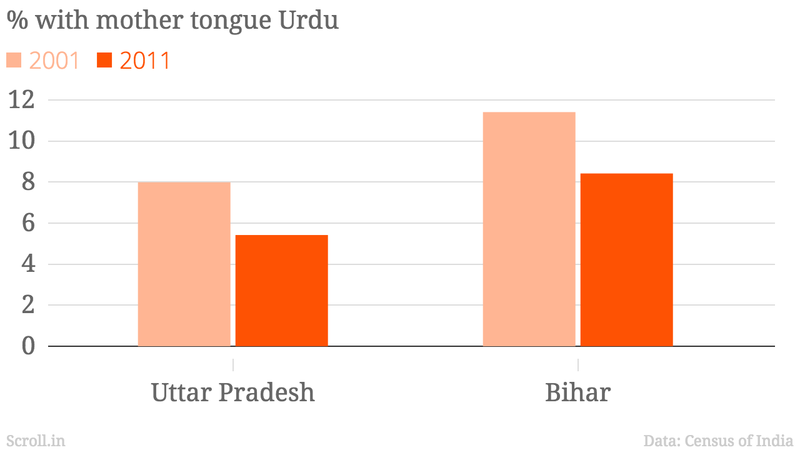 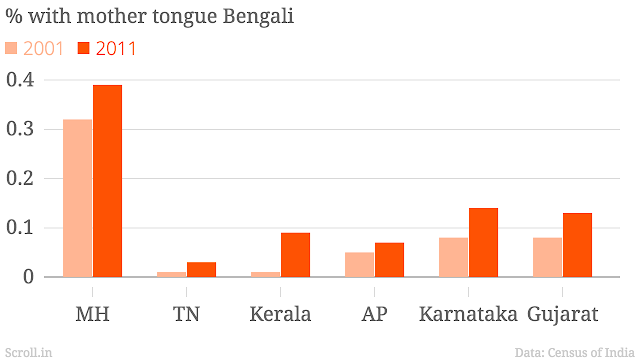 So ascendent is Hindi that the data suggests even some Urdu speakers are now identifying themselves as Hindiwalahs. 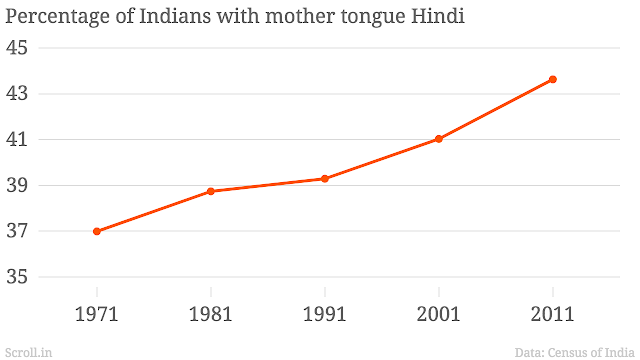 A carry over from the British Raj, English is the link-language between India’s various states and the language of its upper crust elite. 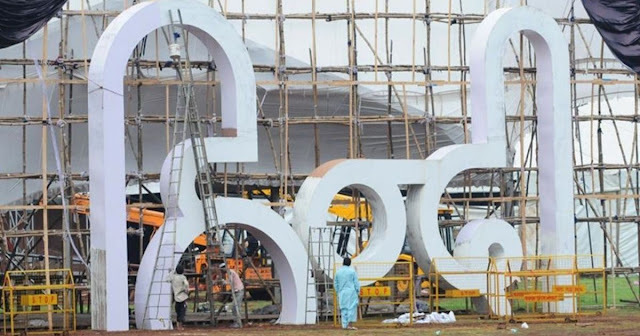 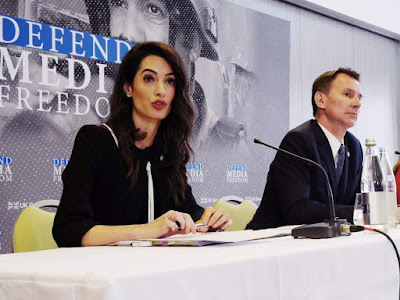 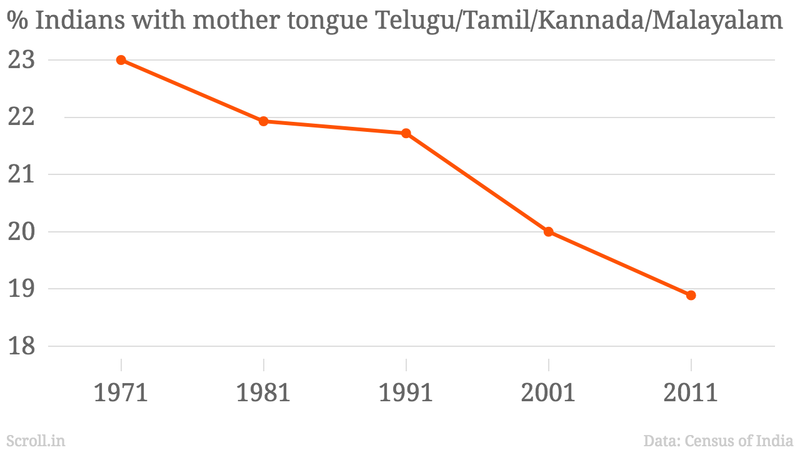 However, in absolute numbers, there is a tiny number of people who speak the language as a mother tongue, with only the Anglo-Indian community historically identifying with it.